Please use this form to pay for an ad in The Classical Journal with a credit card via Paypal. 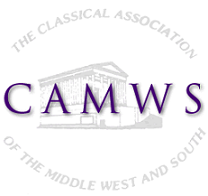 If you wish to pay via a different method, please contact camws@camws.org or send a check to CAMWS c/o Monmouth College, 700 E Broadway, Monmouth IL 61462. If issue number is not known, please leave a note with some information (date, invoice number, etc.) so that the order can be traced.